About The State Of the United States Of America? Will history teach us nothing? Maybe we are just unwilling to learn. Eternal vigilance is the requirement for liberty. So stop sleeping on your watch! When I see what is happening politically in my country today and compare it to this speech, I can’t help but notice a lot of the same things seem to be the ‘issues’ of the day. Government overspending, a growing trend leaning towards bigger socialistic government at the expense of personal freedoms. All in the excuse of big G “Daddy” knows best. It’s like if we’re not constantly on top of things, it all starts going to hell in a hand basket very quickly. This is Reagan’s speech when he was campaigning for Barry Goldwater back in October 1964. Needless to say, he out-shined Goldwater and this was a sign of Ronald’s next step in his professional career. 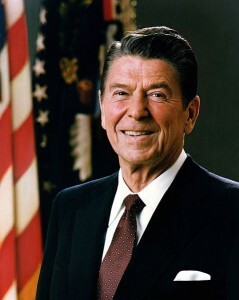 Fact– Reagan won every state (electoral) in his 1984 re-election except walter mondale’s home state of minnesota and D.C. 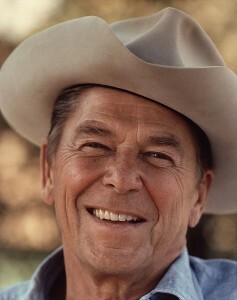 Happy Brithday Ronnie. We miss ya. This entry was posted in documentary, social media, US History and tagged reagan 1964 speech, ronald reagan, ronald reagan birthday by Terry Carter. Bookmark the permalink.